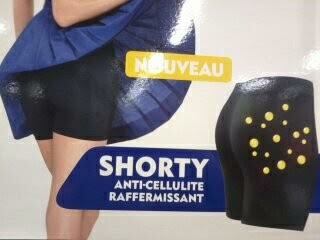 Can you eliminate cellulite in two weeks with especially tight boxer shorts? Of course you can. If you're French. And the cure for snoring is as simple as wearing this ring at night. As I snap the photo, the pharmacist starts to gush about how she swears by it. Will little sugar balls that (I've said it before, and I'll say it again) could easily be used as ice cream sprinkles actually prevent you from having bruises? I present you Arnica, the darling of the voodoo medicine believers, which is to say, every French person, pharmacist, and doctor I've ever met. It's also known in English as Mountain Tobacco. When Pippa falls on her neck in gymnastics, another mom, who happens to be a doctor, is right there to look into her eyes and see if she had a concussion. Deciding there is no concussion, she instead rubs Arnica gel -- which she carries with her in her purse -- on the neck. It comes in little ice-cream-sprinkle pearls, too, in a very fun plastic dispenser and is an over-the-counter "drug". I use the word "drug" in quotes because it tastes exactly like sugar, and probably works like sugar, too. The dispenser is particularly fun to use, and you can take as many of the little pearls as you want during the day, too, which further damns its efficacy, in my eyes. I'm not the only skeptic: According to research by the Memorial Sloan-Kettering Cancer Center, "A few clinical trials suggest benefits of topical arnica for osteoarthritis; and for affecting significant reduction of bruising compared to placebo or low concentration vitamin K ointments. However, a small study reported that topical arnica actually increased pain 24 hours after calf exercises... A systematic review of clinical trials showed that homeopathic Arnica was no more effective than a placebo." When Pippa is attacked by wasp spiders, the voodoo medicine du jour is the Apis, in the same blue tube that Arnica balls come in. They taste exactly the same, and it's quite possible they're the same placebo with different wording on the packaging. The effective stuff is the topical cream, cortisone, and allergy medication. The little sugary Apis balls just serve to keep Pip happy (which, I admit, is not nothing when you've just been bitten by wasp spiders and a tick). When Gigi has a headache on a trip, the hotel gives us this pill (photographed with a coin, and a regular American pain-killer for scale). It's supposed to be dissolved in water, at which point it tastes like a whole glass-full of sugary, chemically, disgustingness that you have to drink. So instead, I go up to our room and got her the American pill that she can simply swallow down and be done with. The medicine to clear my lungs -- a revolting orange syrupy drink once dissolved in water -- is 100% useless. I cough exactly as much before, during, and after the medication. There is simply no difference between when I try to clear my lungs with the medication or a simple hot cup of honey-lemon-tea. With thyme. Of course with thyme, because as any good French pharmacist will tell you, thyme clears the lungs. It also makes your honey-lemon-tea taste like spaghetti sauce, if you want to know the truth. Let us not forget (how could we?) the antibiotics once given to me in the form of chemical powder -- to be taken dry. What is wrong with an antibiotic pill, I ask? Or the time as a camp counselor I asked for headache medicine at the summer camp and was offered a suppository. I double-checked my French: "It's my head that hurts." I was still offered a suppository. So I asked, "What would you offer to the campers (ages 3-12)?" I was still offered a suppository. Even when it's real, modern, 21st century medicine, there's something Medieval (and just plain evil) about the delivery mechanisms. I do not know the statistics, but by observation, there just have to be way more doctors of osteopathy (D.O., instead of M.D.) here in France than in the US. They are everywhere. I don't even know this D.O., I just found her sign almost the minute after I thought of writing up this subject. I cannot make fun of doctors of osteopathy or lump them in with voodoo medicine, because I've visited one incredible D.O. who helped reset Pippa's thumb and another amazing one (only because the first one was on vacation) when my opposite-side hip muscle seized up for a couple weeks after I was thrown from a horse. While what the D.O. did to me felt very much like voodoo medicine at the time ("let me adjust the energy flowing through your spine"), I cannot argue with the results: She told me I would be a) very sleepy that night (I was) and b) completely healed within 48 hours (almost to the minute). So, either osteopathy isn't voodoo medicine, or I am becoming more French by believing in it. Perhaps it's only a matter of time till I am taking herbal gel sugar placebo suppositories and swearing that they are the reason my cancer is cured (it is, but I suspect it's due to the mastectomy). We have a winner! Foujou (alternate spelling Foudjou) is, without a doubt, the most disgusting cheese known to man. Or, at least, known to this woman. It's made of cheese, or more accurately a bunch of old leftover cheeses -- mostly raw-milk, mostly goat-y, but that's not to say there won't be some sheep, cow, and pasteurized cheese in there, because there probably will be -- that have then been doctored. Here it is, the speckly one in the left hand jar, gingerly removed from the quintuple plastic bag layers and photographed with the gold lid tightly closed to prevent odor seepage. And speaking of doctoring, the four of us (bravely) taste the Foujou and after all the gagging, spitting, and retching, we notice that Foujou has near-medicinal properties, namely that it numbs our gums. It feels like a great way to prepare for oral surgery, other than the fact that the smell of your breath would knock out the dental surgeon. This look clearly says "Why? Why?!" There is no good answer. This look, on the other hand, says, "Really?!" Followed immediately by: "Must get this taste out of my mouth." Lest you think I must be exaggerating and there is no cheese that this cheese-lover couldn't love, I let Anthony photograph me tasting it. It's a one-time photo op, because I'm not making that mistake again. The smell and taste are so strong, it's honestly hard to believe that there are enough people who genuinely like, eat, and pay for this stuff that other people continue to make it. In fact, it's even considered part of a category of cheeses called "fromage fort" (strong cheese) that are enhanced, adulterated, intensified with additional ingredients. So the Foujou is not just cheese-strong: we assume it's the vast quantities of garlic and especially mustard bringing about the numbing properties, but it could be the blue cheese mixed in, the alcohol, or the super aged goat cheese. Who knows, because we either swallow or spit it out as fast as possible. It's simply impossible for us to savor the cheese and carefully consider its flavor profile. Here's its flavor profile for you: gross. I con two Frenchmen into tasting it. One smells it, says, "It's not as disgusting as I expected." The French people around the table can smell it without retching; to them it's like Boursin, on steroids, but still he is only willing to taste a microscopic amount. The second Frenchman is from the land of Maroilles and Boulette d'Avesnes, so he's no stranger to stinky cheeses and doctored cheese products. He tastes a huge glob and while he agrees that it's garlicky, he's not all that amazed. At first. Then, slowly, his eyes get big, and he says, "You didn't tell me it was a secondary effect! Now it's getting numb!" Ha! Vindicated! Not to put too fine a point on it: We are given the Foujou by Anthony's wonderful co-worker, Caroline, who brings it direct from her home region of Ardèche, in the Rhône-Alpes, because she suspects (correctly) that I've never tried it. I love her not only for providing the most disgusting cheese ever tasted/produced (and its companion cheese, Pétafine -- only slightly less revolting), but also for the message Anthony passed along from her: "She warned me they are very strong cheeses and we shouldn't feel obliged to like them or eat all of it." Foujou, which is supposed to be a harmless cheese, instead clears the sinuses, makes the eyes water, triggers the gag reflex, and literally numbs the gums. Some of the French placebo "medicines" on the other hand, are supposed to be valid treatments, yet are, instead, useless examples of sugar balls, yucky drink-powders, sticky gels, and let's not forget rings and boxer shorts. Foujou -- officially the worst cheese I've ever tasted -- is intense and effective...but, against what? That's the question.